Time for a weekly wrap-up! And not just any wrap-up. This is my 20th! 5 months! I actually started blogging well before then, but I think this is a huge milestone. It is about two weeks until my blogoversary, by the way, which means I will be getting my own domain, a new name, and hopefully the Book Blogger Plug In from Book Host. Name wise, I have three votes to stay the same and four for both others. If you haven’t voted for your favorite name yet, do so here. It will be open for another week. Anyway, what did I do this week? Science fair really heated up. And by “heated up” I mean it started. I am very busy with it and also quite nervous. I’m aiming to get the Water Project Prize at the county competition [I’m doing desalination], and there is only one. I will start testing this week. I may not post as much, by the way. Choir started up again! As you may have known, I was in a choir last semester. It has started again for this semester, and I’m really excited for the songs. We’re not doing religious ones [thank goodness!] but really fun pieces. We also might do one from “The Sound of Music”, “RENT”, and a pop song. [Some people suggested “Shake It Off.” :)] I’m going to be learning two new languages to sing: some language I can’t pronounce XD and Hawaiian. For the Hawaiian piece, we’re singing “Hawaiian Rollercoaster Ride.” My mom sang that in her choir a couple years ago, and I loved it! My choir is also going to be singing at Great America, which will be a blast. I got my report card. And I didn’t fail any classes. But I didn’t do great, either. My best subjects were science and humanities [aka social studies]. I barely got through design and did okay in math. PE was better than I thought, English was alright, and Performing Arts was fine. So everything is okay. My worst grade was a five [aka an A- or B+]. It is extremely hard to get motivated to write. I am struggling with motivation with my new novel. Once I get started, I usually write until I have to leave, but it’s the getting there part that is hard. I also have found that I don’t have a lot of time. Betas: It is on Figment. Please comment! On Sunday, I reviewed two of Stephanie Perkins’s books and loved them. On Tuesday, I introduced my reading challenges for 2015 and elaborated on going self-hosted. On Thursday, I reviewed Daughter of Smoke and Bone by Laini Taylor. On Friday, I had a guest post done by Evi for Feminist Fridays #3. Tyler Oakley is the queen. I hope you had a fabulous week. Ideas for Feminism Fridays? Tell me in the comments below. DFTBA. I went back to school. Which, surprisingly, wasn’t as hard as I thought it would be. I do miss sleeping in and blogging in the morning, though. I worked on my novel a lot. I have almost 5k! I’m so happy. To my betas: I shall put it on Figment today [probably]. I will try to finish the second chapter today, too. I watched “Annie”! It was adorable. You should go see it. Like, right now. Go. I finished Lola and the Boy Next Door. I had my doubts at the beginning, but… I LOVED IT. The premise of Isla isn’t very promising, though. I totally shipped Rashmi and Josh! On Sunday, I revealed my new novel. On Monday, I participated in My Hero Monday. On Tuesday, I showed my new bookies and bookshelves. On Wednesday, I reviewed Anna and the French Kiss by Stephanie Perkins. On Thursday, I did the Beautiful People linkup. On Friday, I discussed Emma Watson’s speech at the UN for Feminism Fridays #2. Have a fabulous day and DFTBA. Hello, everyone, it’s time for another weekly wrap-up! Also quick reminder, if you haven’t signed up for My Hero Monday for this month, you can do so in the comment section of this post. Signups are open through Sunday. I watched 4 movies. This is really unusual for me and my family, because we usually only watch one movie per week, but it was break, my cousins were here, we went to a sleepover, so yeah. I watched “I Was a Male War Bride” with my grandparents, cousin, and aunt. It’s a really funny classic about this guy who has to pretend to be a war bride, except he’s a man, not a woman. I also watched “The Maze Runner” finally and OH MY GOD it was terrifying. I imagined the Grievers to be blubbery, butter-shaped cows with needles sticking out of them. But they are actually freaking spiders with metal pieces??? “The Scorch Trials” is going to be disgusting and scary x10. I also watched two Star Trek movies. I watched “Star Trek”, the one made in 2009, at a sleepover, and “The Voyage Home” last night with my dad and sister. Both were awesome! I began plotting a new novel. Yes, PLOTTING. OUTLINING. I made a graph of the chapters, sat down, and freaked out. I felt like I couldn’t plan each little chapter. It was terrifying. But I did it. :) I am so proud of myself. So you will learn more about it…soon. I ordered five books from Amazon. So psyched!!! Be on the lookout for a Book Haul post soon. On Tuesday, I said goodbye to 2014. On Thursday, I reviewed Four by Veronica Roth. It was a bad review. And I am sorry. And I also told you why I am discontinuing Starlight. On Friday, I did my first Feminist Friday and posted the signup for MHM. Have a wonderful day, my lovelies! And I’m on an island! We just got here by ferry today and it has been really awesome so far. I’ve seen a bunch of cute houses, eaten a giant ice cream cone, and been a tourist for a few hours. So what did I do this week? On Monday, I did the TBR Tag. On Tuesday, I reviewed The Bane Chronicles by Cassandra Clare, Sarah Rees Brennan, and Maureen Johnson. On Wednesday, I participated in the Heroine Tag. On Thursday, I wished you a very merry Christmas. On Friday, I reviewed Looking for Alaska by John Green. That llama. It just kills me. I’m sorry if I haven’t replied to your comment on one of my posts yet. I will do so shortly. Have a lovely day/night! It’s time for another wrap-up of the week! School’s out! We have 17 days of break. 1. 7. It’s crazy!!! I will miss my friends, but I am glad to have a vacation. I am still waiting for my report card, though, and am a bit nervous. #TwitterYuleBall2014 is today. [So it hasn’t happened yet, but still.] I am so excited!!! I am going single as a pringle, and shall be dancing with Dumbledore and one of my other singles Twitter friends. On Sunday, I reviewed Pretties by Scott Westerfield. On Monday, I put some mores stuff out about Starlight and introduced you to #TwitterYuleBall2014. On Wednesday, I analyzed survey data. On Friday, I showed you the books I bought and discussed shopping habits. I hope you have a fantabulous day, and I will blog again soon. UM. GUYS. IT HAPPENED. I HAVE 100 FOLLOWERS!!! AND I AM SOOOOO EXCITED! THIS IS GOING TO BE THE BEST WEEKLY WRAP-UP EVER. Be prepared for lots of flailing and caps. Instead of doing a giveaway or something cool like that [sorry! ], I’m going to give you a long post about how happy I am. And thankful. And excited. And ecstatic. I have only been blogging since February. That’s only, like, 10 1/2 months. I now have 100 followers. This is madness! I remember when it was just Sam and my grandma reading my blog, and I was excited to have TEN followers. But those times are over. I now have 100 followers. IT’S STILL SINKING IN. Thank you to everyone who has followed and commented and liked my posts. I’m so thankful for this wonderful community of crazy, fangirling book bloggers. You make my day every day; I’ve found some of my best friends here. Thank you to Evi for being the bestest online friend ever. Thank you to Sam for being my inspiration. Thank you to Emily for posting the funniest content. Thank you to Cait for being the blogger I strive to be. And everyone else who has helped me on this journey: thank you. You may know who you are, or you may not. But if you have followed my blog and are reading this right now, you have helped. You have made me feel happy and loved and fulfilled. You guys are the ones who understand me the most, I think. You know my insane, fangirl, bookish side, the side I want to stand out. I can fangirl with you. I can flail with you. I can NaNoWriMo with you past midnight. You make my crappiest days brighter and life a little more worth it. This is turning very sappy. Here everybody, eat virtual cake. Hugs, kisses, love you all! I finished my last big project! Woo-hoo. I delivered my monologue yesterday, and I think I did a good job. Now I just have to freak out about my grades. Which are not the best so far. We did wreath-making yesterday. It was okay, but since my parents never check their email, *cough* I didn’t know to bring a wreath-thingy. But we ate food. So that was good. I don’t really know. It was a pretty average week. Oh! My sister had her orchestra performance. So, back in the spring, I might have posted about being in an orchestra [I played violin]. But I quit and am now in a choir. My sister is still in orchestra, though, so she had her concert. I helpe sell tickets and shirts, which was really fun. On Sunday, I reviewed and flailed about Paper Towns John Green. On Monday, I participated in the Beautiful Books Linkup #3. On Wednesday, I did the Book Blog Reflections Linkup. On Thursday, I created a blog survey to see how you people like my blog. If you haven’t filled that out, please do so ASAP. On Friday, I shared some stuff about my new novel. It’s so adorable. I WANNA HUG IT!!! Thank you so much, again, for 100 followers. Remember to follow me on Bloglovin’! Another week has gone by. Maybe too fast. NaNoWriMo ended. And I won. :) Congrats to everyone who met their word count! If you didn’t make it, that’s okay, too. At least you have part of a novel, right? So keep on writing, and those who have a finished novel: edit. School started back up. And projects! And homework! Yay. I had my choir concert. It went really well and was really fun. I’ll be starting choir again in January. 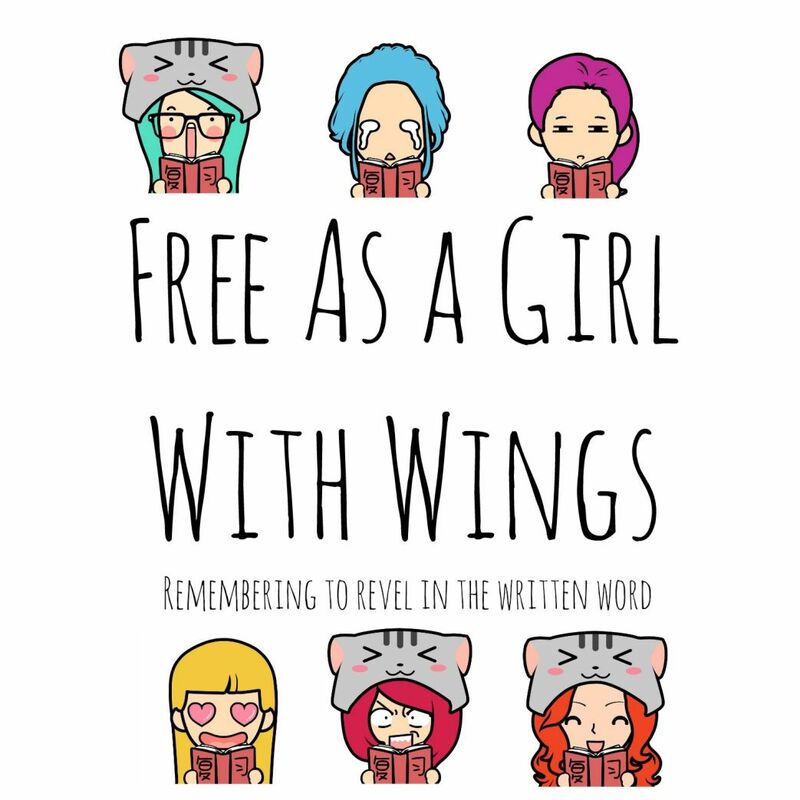 On Sunday, I wrapped up NaNoWriMo and shared the last excerpt from Bloggish. On Tuesday, I did the A-Z Book Tag. On Thursday, I shared with you the books I bought, updated you on my life, and previewed my revisions for Bloggish. On Friday, I began Christmas celebrations!